Today it is easy to become an entrepreneur by starting an online business. An online business can earn you big money. World’s top richest person including Mark Zuckerberg is an online entrepreneur. You will find a lot of other examples like Mark Zuckerberg which is enough to convince you about a potential of an online business. You can earn millions of dollars by starting an online business. Another convincing reason to start an online business is it can be started with very low investment and you can reach a wide range of customers across the globe. By now you must have made your mind for starting an online business. All you need now is good online business ideas which can earn you hundred to thousand dollars a month. I am fortunate enough to make money by using some of these online business ideas. 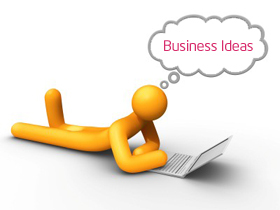 So, here are 10 best online business ideas which can earn you big money with low investment. Blogging is one of the best online business ideas as per me. I am blogging since past 4 years and making a good amount of money every month. I can say confidently that if you have knowledge and skills you can also earn money by blogging. There are numbers of professional bloggers who is living their life on blogging. They are earning money in the range of $500 to $20000 per month. You can check income reports of top bloggers here. Blogging means making your own blog/website and sharing your experience and knowledge with readers. In order to become a professional blogger, you should have writing skills and domain knowledge. As a blogger, you can earn money using various ways. The easiest way of earning money using a blog is by advertisements. Another best online business idea is to become an online seller. Big e-commerce websites like flipkart, snapdeal, amazon allow business owners to register and sell their products online. Registering with an online marketplace is quick, easy and more convenient. No registration fees applicable. No commission on a sale. You can even get an advantage of the popularity of these e-commerce portals. It gives you unlimited access to crores of customers over the globe. It is not mandatory to have your own products as an online seller. You can even purchase low-cost products from the local wholesale market and sell it at a higher price on these websites. Affiliate Marketing is another most powerful best online business idea to start with. Affiliate marketing business has very good potential. You can earn a lot of money by affiliate marketing. All you need to do is promote a product of affiliate company. The company will pay commission on every product sale done by you. There are numbers of affiliate marketing companies like Flipkart, Amazon, Share a Sale and many others. You need to be a good seller to become successful affiliate marketing person. Successful YouTube Video Channel can make you wealthy. You won’t believe a 56 years old housewife Nisha Madhulika from NCR have a potential income of $341101 (2.3 Cr) through YouTube video channel of cooking. She just uploads videos of cooking recipes and earn money. YouTube partner program is an online business avenue for the common man. All you need to do is to create a YouTube Channel on a specific topic and publish original high-quality video on your channel. As an approved channel partner google will show advertisement on your video and you can earn money. If you are an expert in the specific field you can provide online training to the people charge for the service offered by you. This is one of the best online business ideas as you can provide training to people all over the world. Some field on which you can provide training are fitness, yoga, accounting, IT etc. In order to promote your business, you should create a facebook page or website. Domain Trading is one of the very good online business ideas. In this business idea, you need to buy a domain at a lower price and sell it at a higher price. A website like GoDaddy offers this type of domain auction facility. However, you need to carry out a lot of research in order to be successful in domain trading business. Social Media Marketing or managing social media in an effective manner is another online business idea. As a social media marketer, you need to manage facebook and twitter account of the small and medium business. You will be responsible for engaging people by generating creative contents. You are also responsible for increasing followers. You can charge $300-$500 per account per month. Another way to earn money from social marketing is Famebit. Famebit is free platform which helps you to get sponsorship of your social media channels & you can earn handsome amount of money using this platform. All you need is 1000 followers on your account. You can use any social network on Famebit starting from Facebook, Youtube, Twitter, Vine, Instagram to Tumblr. Make money site is easiest and fastest way to generate money. It is part time online business. Today you will find many legitimate online money making websites like Clixsense , Neobux, Amazon Mturk etc. These websites offer simple task like advertisement viewing, completing a survey or doing mini tasks. You will be paid for completion of every task. Freelancing is another best online business idea. In order to start working as a freelancer, you need to have the specific skillset. There are numbers of good freelancing websites like upwork, fiverr etc. These websites offer you tasks or projects as a freelancer. You can charge fixed amount for completion of these projects or tasks. If you have an innovative business idea you can build or start your own website. Your online business idea could be food delivery, e-commerce store, classified, match making, buy sell old goods or any other. However, sometime It will take a time to become popular and generate revenue from these business ideas. I am sure that details given above will help you to start your own online business. If you have any query about any of the online business ideas mentioned above or if you are seeking any help in starting online business feel free to voice your concern in the comment section. Hi.This is Manoj kumar . I am passionate to do business online. Kindly let me know some freelancer business. Currently i doing job in kotak securities ltd. Please help me more on this: Facebook one. Can i take likes or followers for a page created by me and earn through that? Yes Surekha, You can earn money through your facebook account by posting sponsored post.For more information visit Famebit.